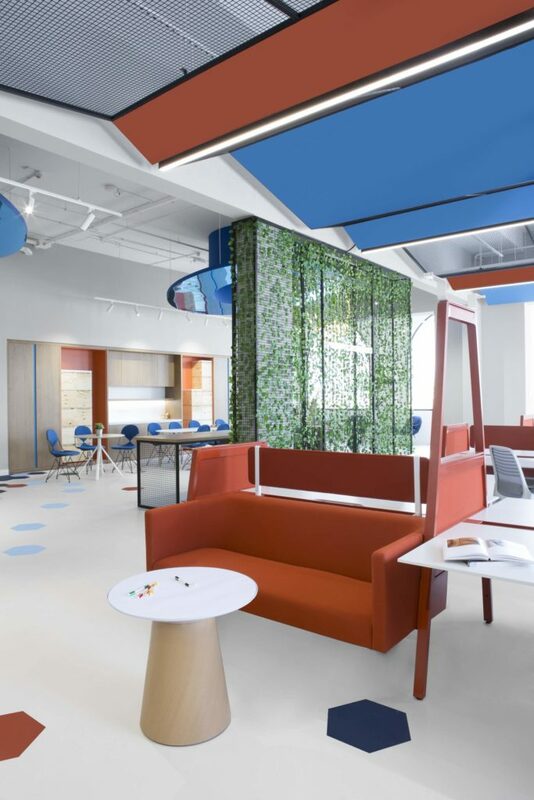 Designed by Roar (Pallavi Dean Interiors), with fitout by Optimize LLC, the second installment of the Sheraa Entrepreneurship Hub once again bridges the gap between academia and the business world. 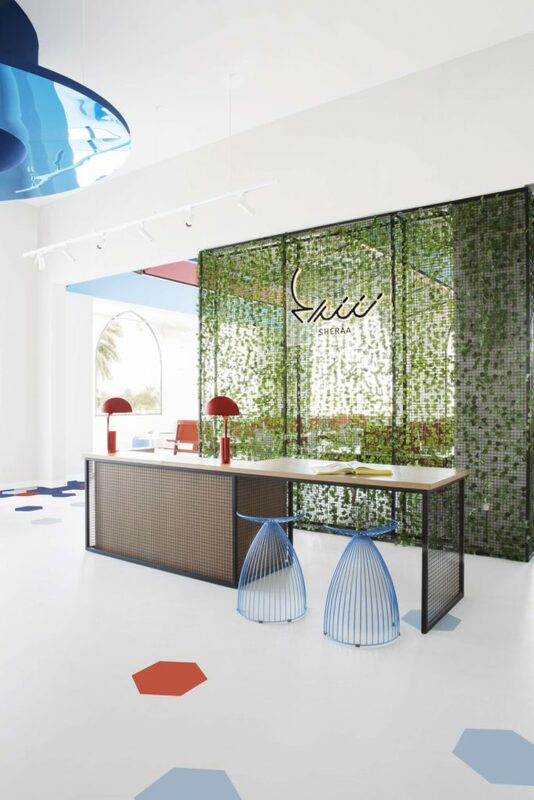 Located at the University of Sharjah, the brief was to create a functionally flexible space, to accommodate a broad range of work scenarios. 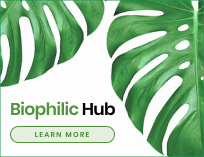 The main reception area features a green wall as a biophilic backdrop, that showcases the logo, with a reception desk that doubles as a hot desk. 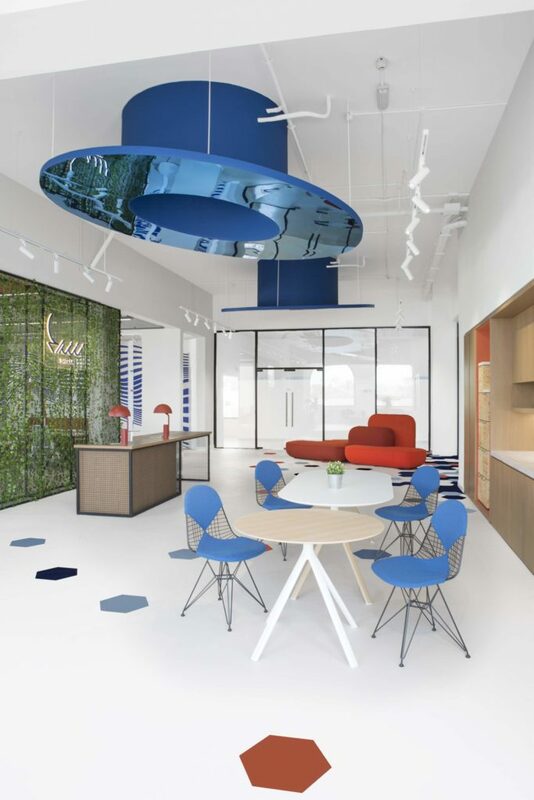 Blue reflective circular discs were suspended from the ceiling and angled to catch natural light throughout the day, as well as add brightness to the space. 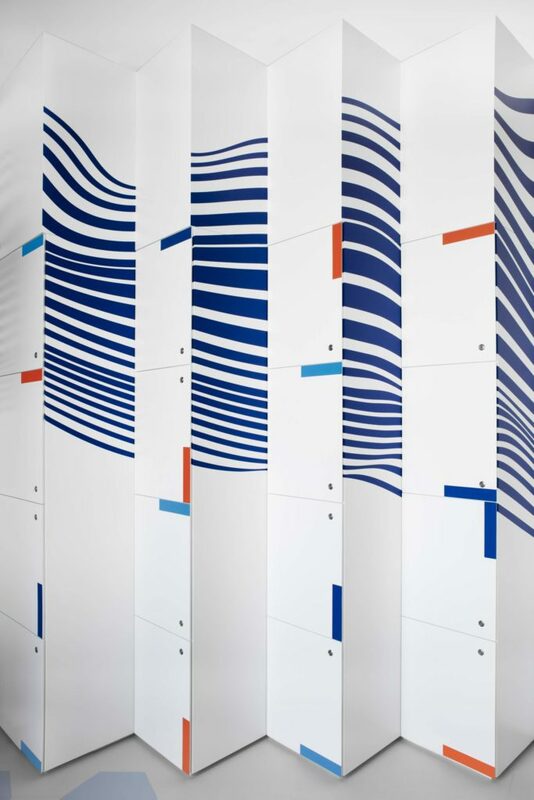 Customised lockers were also created with a staggered look and wave patterned graphics, while slimline window frames were incorporated to flood the space with natural light. Due to certain space constraints, efficient design solutions were incorporated, such as furniture that can be used as storage containers, seating and tables, for the the amphitheatre. 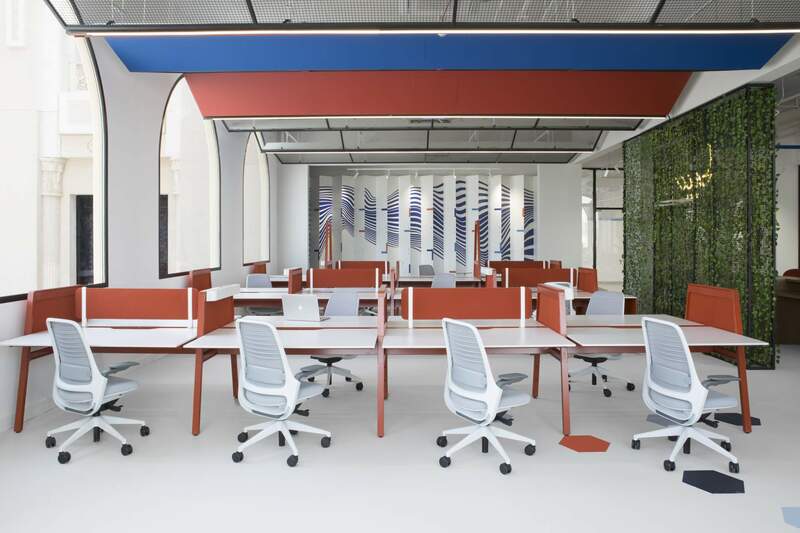 Co-working benches with task chairs were replaced with sofa-based workstations using modular units that are both comfortable yet practical. 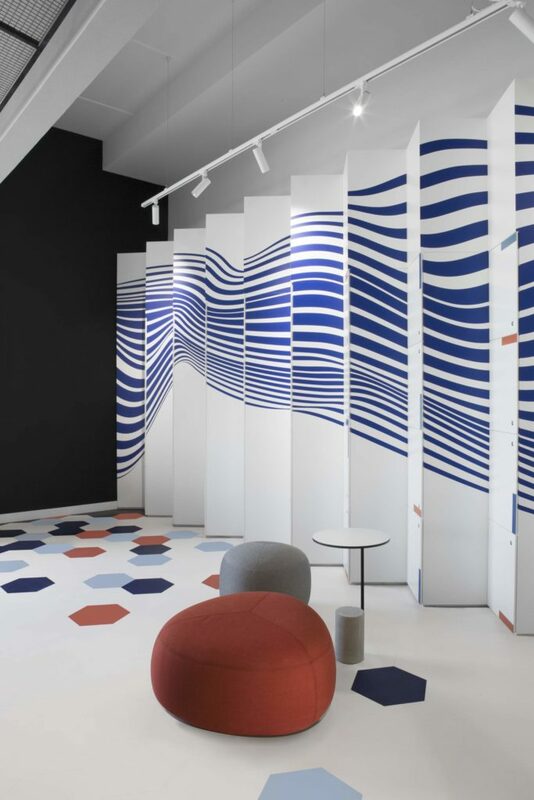 A bold variety of seating added character through different textures, forms and colours. 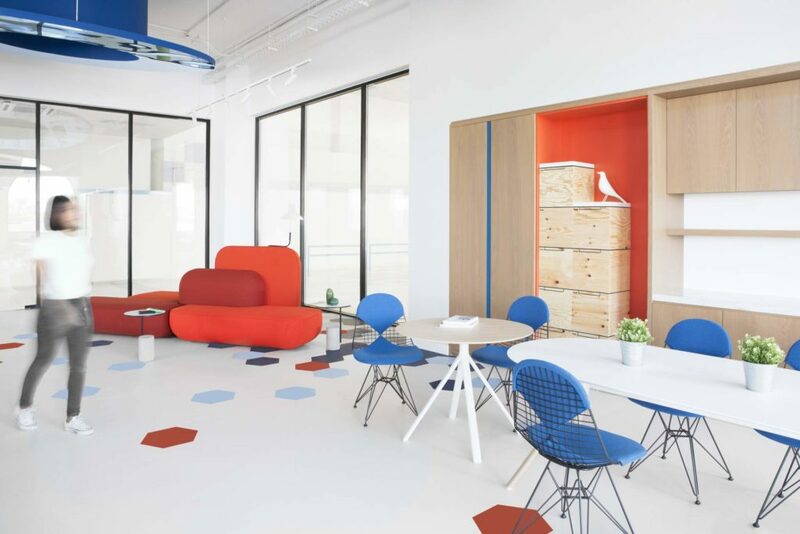 Tarkett flooring was used for its acoustic and durable properties, which is a must for a high-traffic space with exposed ceilings, while hexagonal tiles added pops of colour.